The GMC Terrain has always trailed the others in the premium crossover category. However, the launch of the 2018 GMC Terrain is about to change all these. It has moved from the background to distinguish itself from its competitors with an uncharacteristic styling and a diesel engine. The ride comes to GMC dealerships Princeton in numerous trims and prices. The 2018 GMC Terrain has migrated to the D2 global architecture. It is 350 pounds lighter than the preceding model. Its wheel base has been reduced by about 5.2 inches and the length too by 3.2 inches. The compact SUV also comes with an elegantly designed floating roof. The interior and exterior of this latest GMC model have been designed for a cohesive fashionable look. Though the car does not cost as much as others in the same class, its interior is made of premium materials for first class comfort. The steering wheel is wrapped in leather with aluminum trims. The new Terrain compact SUV has been designed to carry not only passengers but also cargo. Its front and second-row passenger seats can be folded to create more space. Again, when all seats are down, space can accommodate items as long as 8 feet. Loading cargo has been simplified by the Terrain’s hands-free power liftgate. One significant feature of the 2018 GMC Terrain is its diesel engine. Though GMC smites that this is bound to limit its sales, it still promises a loyal user base. It comes with three different turbocharged engines namely 2.0 liter and 1.5-liter gas engines and a 1.6-liter diesel engine. The gas engines have 9-speed transmission with 252 horsepower by the bigger one and a 170 horsepower by the smaller engine. They also deliver 260 lb ft torque and 203 lb-ft torque respectively. The diesel engine, on the other hand, has a 6-speed transmission with a 240 lb-ft diesel torque and delivering a 137 horsepower. 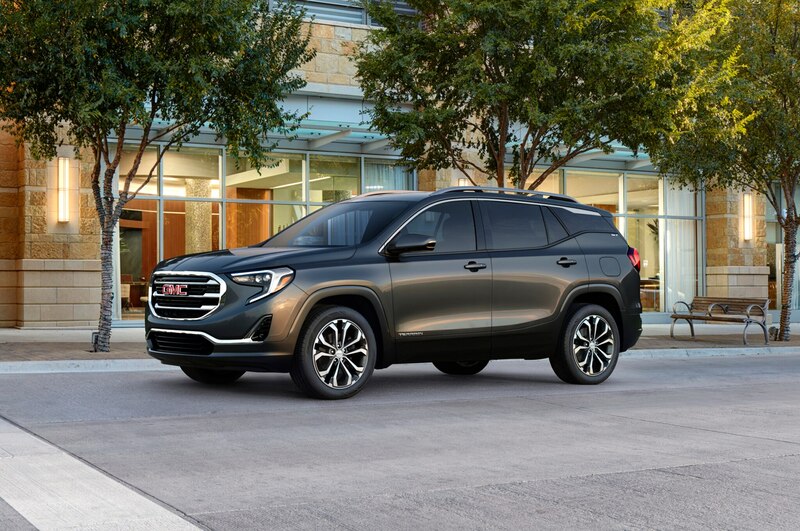 The 2018 GMC terrain provides an amazing fuel economy for all the engines. The 2.0-liter engine promises a 22 mpg in the city and 28 mpg on the highway. The 1.5 gas engine also guarantees a 26 mpg in the city and 30 mpg on the highway. The diesel engine is the most effective guaranteeing 28 and 39 mpg in the city and on the highway respectively. The 2018 GMC Terrain comes with great features in terms of safety, infotainment system, voice navigation and suspension dampers. There are also AWD models available in the superior trims. Visit any GMC dealership Princeton to find the best 2018 GMC model that satisfies your needs for a stylish ride.